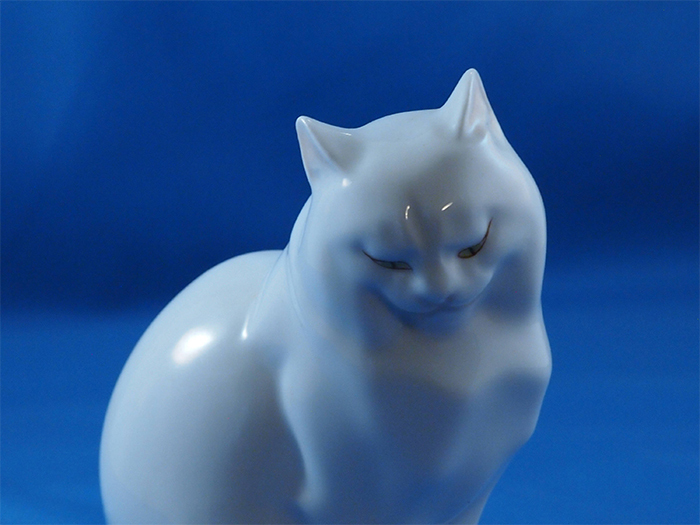 Herend of Hungary white porcelain hand-painted cat figurine. 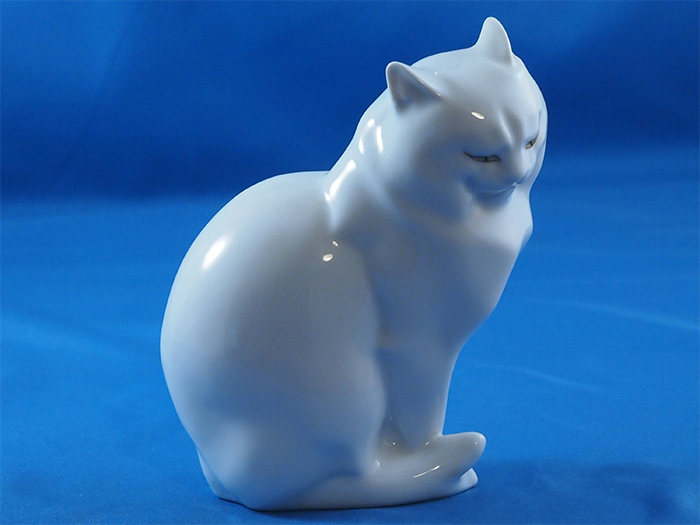 This pristine cat figurine is 4-3/4 inches high and 4 inches at its widest point. At the base it is 1.5 inches in width. 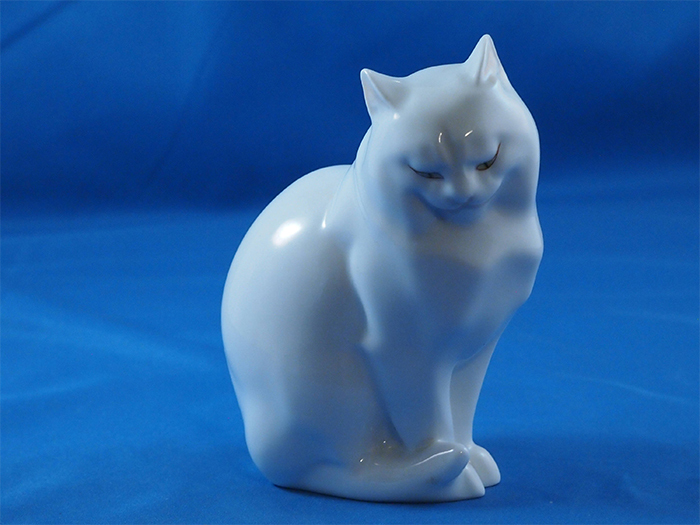 The cat figurine weighs 6.3 oz, and has the Herend mark, as well as the imprint 5383 g.